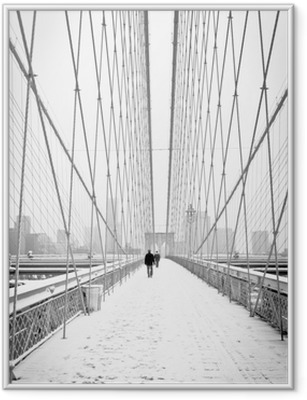 Framed Poster Brooklyn Bridge in New York City. Sepia tone. Framed Poster Brooklyn bridge at dusk, New York City.